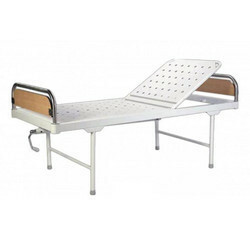 Pioneers in the industry, we offer 5 way automatic function bed - je, hospital bed 3 function automatic bed, automatic hospital bed on rent and semi fowler bed -je from India. 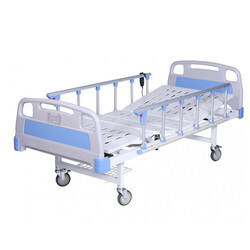 JE 5-way function automatic bed are easy to operate & more comfartable for patient. JE 3-Way automatic are easy to operate & more comfartable for patient to operate. 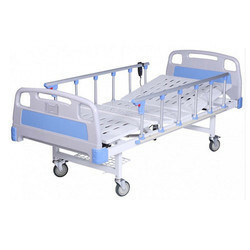 As per the growing necessities of our patrons, we are involved in providing Automatic 3 Way Hospital Bed Rental Services to our honored customers. These services are extremely valued amid our valued patrons for their timely completion and flexibility. Moreover, this service is completed as per patron’s necessities at nominal prices. 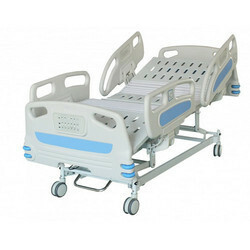 JE Semi fowler bed are easy to operate & more comfartable for patient to Operate.